The Galaxy S5, Samsung’s new flagship smartphone, includes biometric security as well as NFC — and can be used to make payments at any merchant that accepts PayPal online or in store. The new finger scanner is built into the home button at the front of the Galaxy S5 and is designed to provide “a secure, biometric screen locking feature and a seamless and safe mobile payment experience to consumers”. It can also be used to unlock a Private Mode feature, offering extra security for sensitive documents, photos and other data. The first payments service provider to make use of the fingerprint verification functionality will be PayPal, enabling Samsung Galaxy S5 users to use their fingerprint to log in to shop at any merchant that accepts PayPal on mobile and in physical stores. A PayPal app for Samsung’s new Gear 2 and Gear 2 Neo smartwatches, also unveiled at MWC 2014, is also to be introduced. This will enable users to check-in to pay at local stores, save and redeem offers and receive payment notifications while on the go. Enhanced personal fitness and health tracking capabilities,, including a built-in heart rate monitor, are also featured and the device can be paired using Bluetooth LE with Samsung’s Gear Fit wearable and Gear 2 and Gear 2 Neo smartwatches. An Ultra Power Saving mode can switch the phone’s display to black and white to give up to 24 hours of usage from only 10% of battery power. 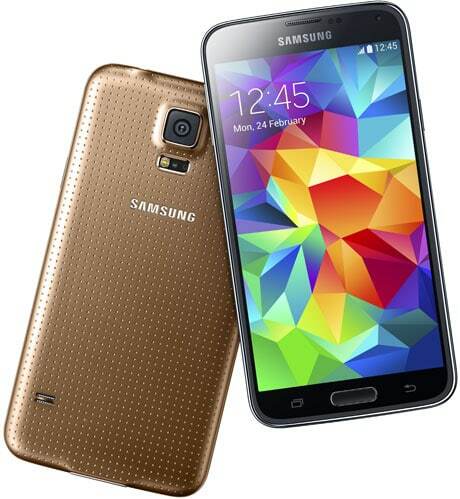 The Galaxy S5 will be available globally in charcoal black, white, electric blue and copper gold in April 2014. PayPal payments will be available from launch in 26 markets, including Australia, Brazil, Hong Kong, Russia, United Kingdom and the United States. Samsung Galaxy S5 comes with NFC – so what? So did the S3 and S4, what are they going to do with it? The fingerprint scanner has had more hype than NFC, and even with PayPal taking advantage of the secure method of authenticating payment in store, NFC is not just for payments and can put to many other uses. When are the OEM’s going to announce the fact that they have NFC, which incidently is not available on an Apple model as yet (without an adaptor) and embrace the power of the technology? EMV have adopted HCE for NFC related payments, what more do these guys need to push the tech?